Often our teachers tell us wonderful stories of the impact their visiting therapy dog has upon their class and individual students. 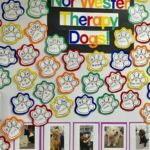 The Nor’wester Therapy Dogs organization encourages our handlers and host teachers to always share the magic that happens when students achieve by the side of their therapy dog. I have a boy who has been in my class for a couple of years. Last March, he tragically lost his mother. He continues to struggle behaviorally, emotionally, and socially in the school setting, although he is supported by a specialized curriculum. 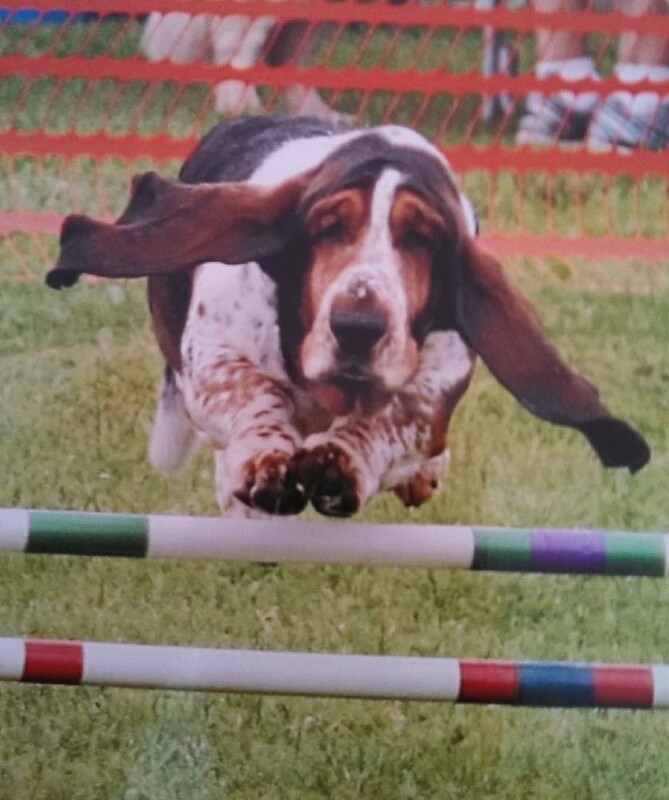 Lynne and Obie have been an important part of his therapy. When Lynne and Obie are present in my classroom, he is calm, engaged, and focused. 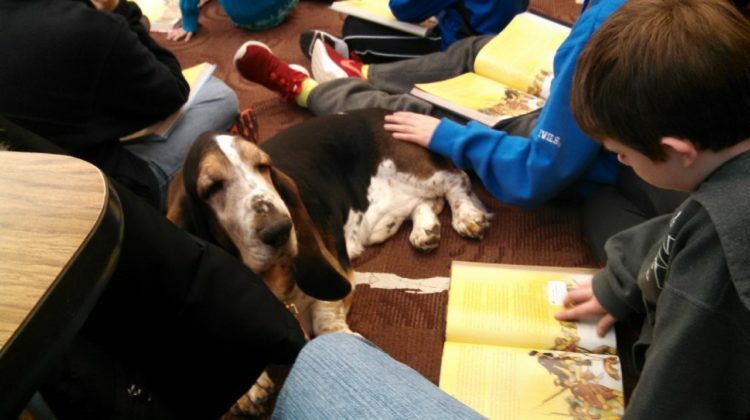 Each week he sits with them and reads, either assigned reading or his own writing samples. When another student is reading, he lies with Obie and pets him., He engages Lynne in conversation about home, school, likes/dislikes, etc. This established relationship outside of the home and formal school setting has been a consistent academic, social, and emotional support for this student. I also have a 4th grade student who has been with me since he was in 2nd grade. He was nonverbal when he started 2nd grade. The only time he spoke to me was to ask to use the bathroom or to get a drink. His academics were at the pre-primer level. When Lynne and Obie started visits, he acted like he had never been in the presence of a dog. He did not go near Obie or touch him. He did not talk to Lynne, but he would read sight words with me in front of Lynne to support his participation like the rest of his classmates. Now that he is in 4th grade, he sits on the floor next to Obie, constantly touching him and grinning ear to ear. He plays with Obie’s ears and rubs his belly. 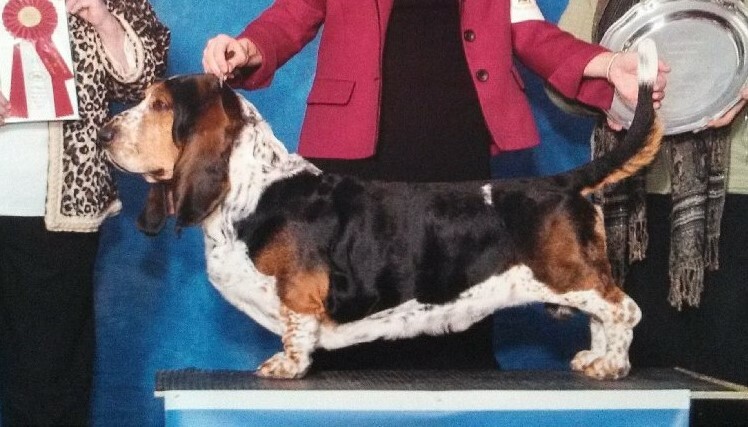 He will even volunteer to meet or drop off Lynne and Obie from the office during their weekly visit. Academically, he has progressed from reading sight word lists to sharing writing samples that consist of four sentences which he has generated with editing support from the teacher/staff. Now this student is using expressive language constantly throughout the school day to communicate his wants and needs and to engage with peers. One of the most important improvements is that he is constantly asking questions! He asks about assignments, our schedule, and how to do fix/prepare something in the classroom — it’s so beautiful! 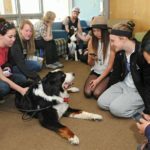 I truly believe that with the combined support of specialized curriculum and programming, including our therapy dog sessions, that these students make incredible gains academically, behaviorally, socially, and emotionally. I feel confident that we are educating the whole child with our collaboration. I am so grateful to the Nor’wester organization!